If you are reading this page, it means that you are confident and have made up your mind to travel to a beautiful and ancient country. Iran is a perfect choice for those who want to get rid of the chaos of big cities and make a holiday for themselves. Iran is one the misunderstood countries in the world thanks to the media. You may be heard or read a lot about Iran but it is either related to the past or false. We strongly advise you to read the blogs of Iran visitors. They would tell you the truth. In nowhere you can find people like ours. Iranian are famous for their hospitality and wiling to prove it to the world. For traveling to any new place in the world, you must know about it in advance. Iran is not an exception. Standards and services should not be compared with first class countries. Getting visa to Iran is the most difficult part of your trip that could be different depending on your nationality. For most countries in the world, VOA (visa on arrival) is available. But if you are a citizen of the United States, Canada, or the United Kingdom, VOA is not possible. The only way you’ll be able to get a tourist visa is by taking part in an “official” tour of Iran. 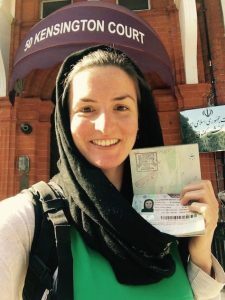 If you are from Australia, New Zealand, Germany, The Netherlands, France, or Japan, things are really easy – you can either apply for a 20 day tourist visa from the Iranian embassy in your country or you can get a visa on arrival. One more important thing that you must do, is preparing a medical insurance which is mandatory to get your visa. So, prepare a good medical insurance and get sure that it covers Iran and you have all required information about your insurance company for emergency time. Rial is the official currency of Iran but what you most probably will face with, would be Toman. Each Toman is equaled with 10 Rials. So you need to only add a zero to Toman to change it to Rial. When you travel to Iran, you should carry cash with yourself because the ATMs don't work for foreigners. So you can't use your credit card here thanks to the sanctions. But nothing to worry about, because currency exchange shops and banks will do it for you. Iran is an Islamic country, so you will find a different kind of clothing here. It is not difficult as it is said in the media. For men there is nothing special, just wearing long pants. Shorts are banned for men. Foe women, they must cover their body and hair completely. It means, long pants and full-sleeve shirts and scarves or shawls. Alcoholic drinks are totally banned in Iran. What you find in Iran is, non-alcoholic beverage malt and soda and yogurt drinks. I'm afraid to say that the Internet in Iran is not excellent. You may have a little problem sometimes. In big cities it is not a problem, but in small cities you may get bored with the speed. So please be patient! If you want us to be your tour operator, then your safety and happiness will be guaranteed since the beginning. We provide you perfect facilities to just make you a holiday to reminisce about it later. Your satisfaction is our first priority and we try our best for it. Just feel free to ask any information about the tour, plans, and leaders. Any ambiguity is welcome to be questioned from you. You can contact us or send us emails and be sure that our crew would answer you back as soon as possible.